Call Flue Steam for thorough, professional exhaust duct cleaning in Santa Monica CA. How long has it been since your last exhaust duct cleaning? If you can’t recall, you may be putting your kitchen at risk of a grease fire in the exhaust system or at very least a fire code violation. 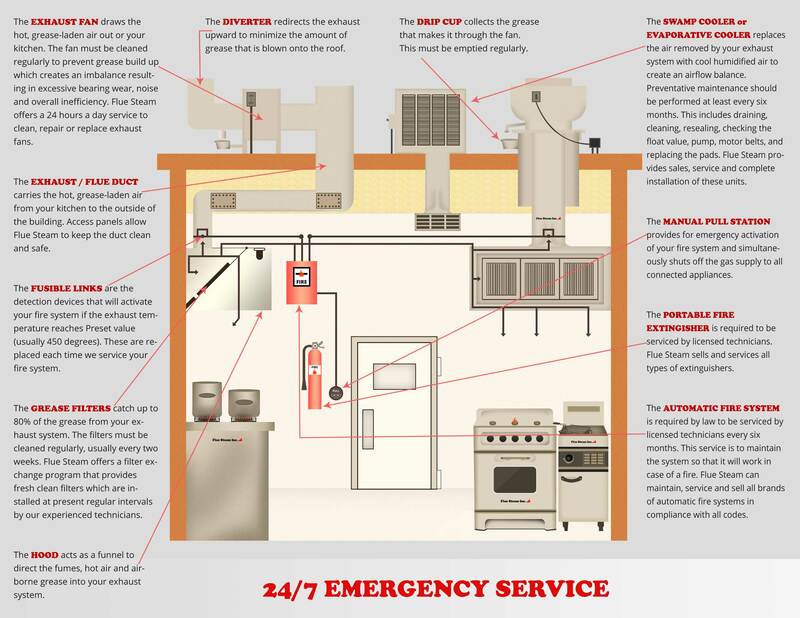 Fortunately, you can rely on Flue Steam to provide the exhaust duct cleaning in Santa Monica CA you need to eliminate fire hazards in the exhaust ducts and keep your kitchen code-complaint. Our highly trained and certified crews have been serving local businesses for over 40 years, and we can help you too. By combining the two types of exhaust duct cleaning in Santa Monica CA that we offer at Flue Steam, you can achieve the clean you need in the most cost-effective manner possible. Hand Scraping: Having our certified technicians scrape greasy buildup from the interior and exterior surfaces of your range hood, deep fryer hood, and other appliance exhaust hoods is an excellent and affordable means of protecting high-risk areas from fire. Steam Cleaning: We also offer professional steam cleaning to reach where hand scraping cannot. 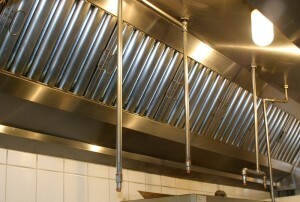 Depending on the type and volume of food you cook, you may need steam cleaning quarterly or semi-annually. Have you ever wondered how exactly you can confirm that your exhaust duct cleaning in Santa Monica CA was both necessary and effective? At Flue Steam, we show you the effectiveness of our service by using a special tool called an IKECA comb to measure the thickness of grease deposits in your exhaust ducts before and after cleaning. Another benefit of using this tool is that we can track your measurements over several service visits and calculate how fast grease builds up in your system. This will help make sure you get cleanings at the right frequency for your kitchen’s specific needs. Are you ready to schedule an exhaust duct cleaning in Santa Monica CA? Just call or click now to contact us. We can schedule your service before or after your normal business hours for maximum convenience.